A compelling novel of desire, secrecy, and sexual identity, In One Person is a story of unfulfilled love � tormented, funny, and affecting � and an impassioned embrace of our sexual differences. Billy, the bisexual narrator and main character, tells the tragicomic story (lasting more than half a century) of his life as a �sexual suspect�, a phrase first used by John Irving in 1978 � in his landmark novel of �terminal cases�*, The World According to Garp*. 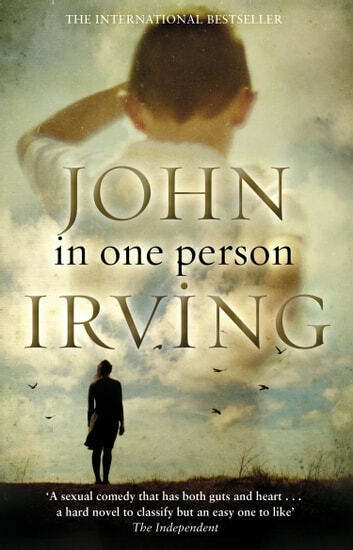 His most political novel since The Cider House Rules and A Prayer for Owen Meany, John Irving�s In One Person is a poignant tribute to Billy�s friends and lovers � a theatrical cast of characters who defy category and convention. Not least, In One Person is an intimate and unforgettable portrait of the solitariness of a bisexual man who is dedicated to making himself �worthwhile�. Each time I pick up a John Irving book, I become lost. He takes me on journeys and introduces me to characters that I cannot wait to come home to. I dread the last page, he hooks me immediately and I am powerless to stop reading. John Irvimg volgt in zijn boek dezelfde lijn als in zijn vorige werken. Het was heerlijk om te lezen, maar de verhaallijn van Last Night in twisted river en until I find you waren beter.